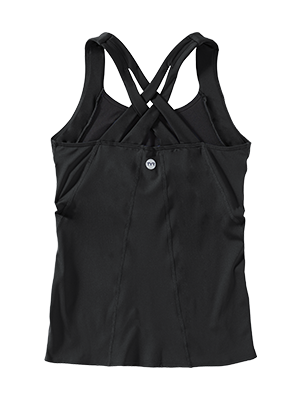 Designed for a dynamic lifestyle, the TYR Women’s Lola Tank- Solid caters to adventurists both in and out of the water. 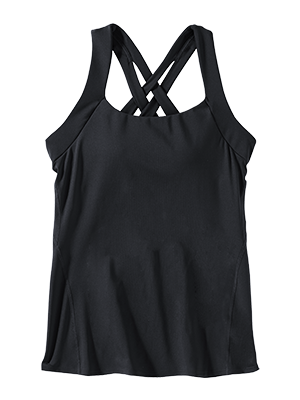 I am a D cup and finding a supportive tankini top has been an ongoing quest-until now. 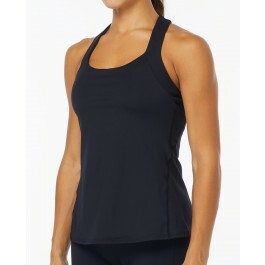 This piece is great as swimwear, and could easily work as a tank or workout wear. Love it so much I bought multiples. Love this brand. Love this swimsuit. I just received this swim suit. I haven't had a chance to use it in the pool yet. I did try it on and it felt nice. Needed a suit with good chest support and this gives great coverage and support. The material seem of good quality. Will update if I am disappointed, but so far I do not think I will be.